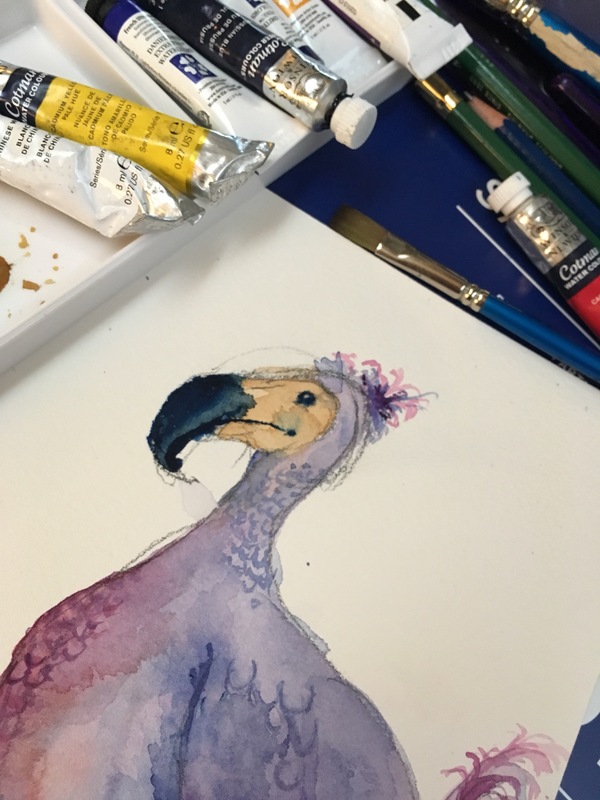 I’m doing a custom order of a dodo bird painting and I’m having so much fun! lt’s the first extinct species I’ve painted, and it’s sad to know these delightful creatures no longer walk the earth. I hope by painting one, in a tiny way it keeps their friendly, loving spirit alive.